The Manitoba Moose (37-29-5-2) are fighting for a spot in the playoffs in today’s battle with the Griffins (38-25-7-4) in Grand Rapids. Catch Mitch Peacock and the pre-game show starting 15 minutes before puck drop, at 5:45 p.m. CT on moosehockey.com/listenlive/, the Moose App, and streamed live on AHLTV. With just three regular season games left for Manitoba, the Central Division race is as close as possible. The Moose currently sit in fifth place, two points behind the Iowa Wild. The Milwaukee Admirals sit third, three points ahead of Manitoba with today’s opponent, the Griffins, currently in second with 87 points. The Moose have a game in hand on everyone in the division except Chicago, who have clinched first place. To simplify a very complicated race; Manitoba control their own destiny, and can still finish anywhere from second to seventh in the division. Head Coach Pascal Vincent showed off his competitive side, smiling about the opportunity his club faces to wrap up a spot in the post-season. The Moose are 26-13-3-2 since Dec. 30 and the break Vincent spoke of. Much has been made about the club’s reset in late December, which came after the team lost five straight games by a total score of 22-7. The last two of those losses came at the hands of Griffins who bested the Moose 4-1, and 3-1 on Dec. 21 and 22. Despite the Moose struggling against the Griffins in 2018-19, Marko Dano said the team focusing on their own play will be the key to beating their rivals. Manitoba will need to be wary of Chris Terry who has put up 10 points, (6G, 4A) against Manitoba in six games this season. 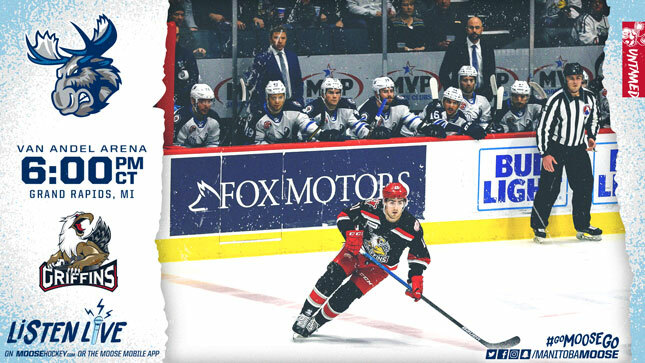 The Moose will counter with Mason Appleton, who has three points (1G, 2A) in the three contests he’s played against the Griffins, and enters today’s matchup on a five-game point streak (3G, 3A). The Moose have turned around their play away from Bell MTS Place and are 5-2-1-0 in their last eight road games. Forward Seth Griffith, who leads the club with 53 points (16G, 37A), said he likes the team’s preparation for the biggest weekend of the season. Tomorrow night, the critical weekend continues in Chicago where the Moose take on the Wolves twice to close out the regular season. 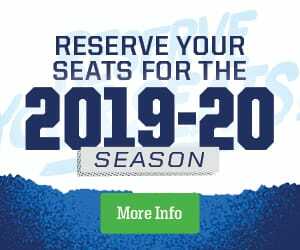 Saturday’s game will be broadcast on TSN 1290, moosehockey.com/listenlive/, the Moose App, and streamed live on AHLTV.